Then, I open my eyes, and I'm right back to the oversized tshirt, mom capris, and messy hair.. Truth is, y'all... I wouldn't want to be anywhere else.... with anyone else. BUT - I do like those little drinks with umbrellas in them.. So, today we made a "weedin' flower beds" drink. 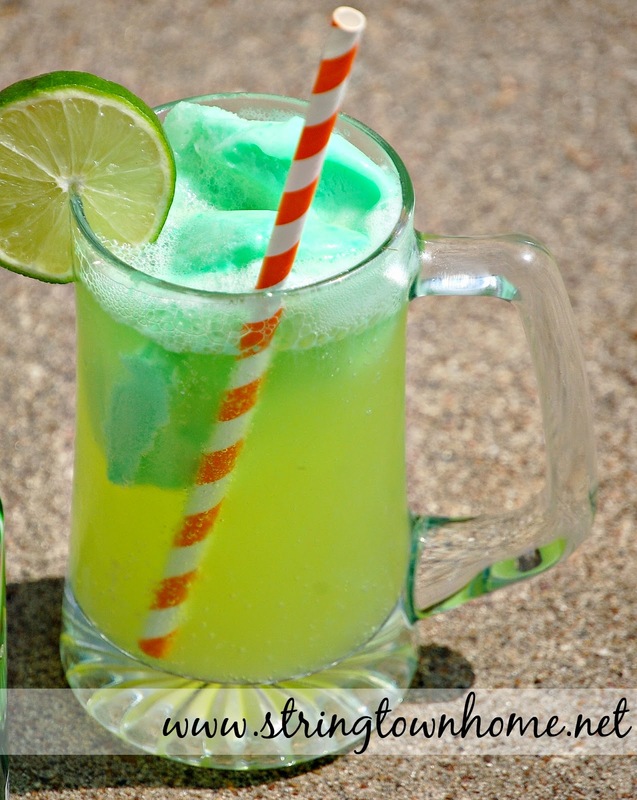 Fill a glass with cold Mountain Dew, and top it off with a couple of scoops of lime sherbet. My little garden helper is drinking a caffeine free "Lime Sprite Drop", cause Mama can't handle a little girl, "All jacked up on Mountain Dew!" Go enjoy a cold, yummy treat, y'all... no matter where you are! I haven't bought Mountain Dew in years. Sounds good though! I'm starting back on my clean eating plan, tomorrow... this was so good, but so sweet! The Sprite version I've used as a shower punch before... Ginger ale, Sprite, and sherbet. It was a hit, and really pretty. Hi Heather! Just found your blog and it's delightful! Have a wonderful day! Thanks so much for stopping by.. and for the sweet words! I hope your day is wonderful, as well! Ohmy Heather what a light hearted!!! !fun, delightful post!!!!!! This sounds like the perfect ending to a day of gardening - icy cold and refreshing! Clean eating can wait another day.